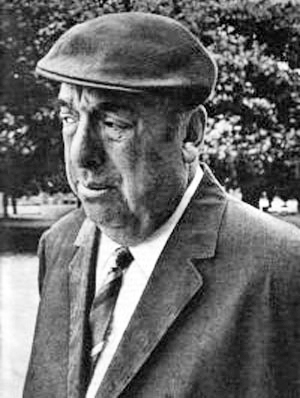 The great poet Pablo Neruda who inspired me to be a poet. Who taught me how to express love from my heart, my soul. Is the unrelenting tide keeping you strong? The salty air feeding your soul? With the bread of life? Blending each day with love? Be sure that Pablo in case he would hear these words he would say “Muchas gracias”.